Do you have the three P’s? | A passion for people and property? 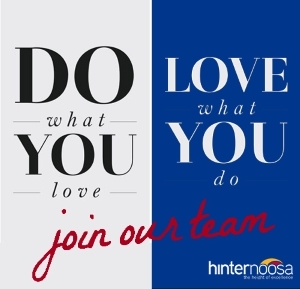 At Hinternoosa we look for people who are motivated to achieve their best. Our people are friendly, professional, efficient and approach everything with a positive attitude. They aim to provide clients with exceptional service and great results. Do you live here for the lifestyle? A Real Estate career with our office allows you to enjoy that lifestyle with unlimited income potential. At Hinternoosa we provide fortnightly training sessions, extensive admin support, access to in-house training, professional development opportunities, newest technology and a supportive environment aiming to achieve collective and individual success. Are you fast paced and enjoy working under pressure? Property management is an exciting career path, so if you are highly organized, have great time management skills and the ability to build strong relationships, we need you! Working at Hinternoosa you are surrounded by a supportive sales and administration team with access to up-to-date software, technology and training. Are you friendly and enjoy working as part of a team? A career in administration support is for you. Our admin team works closely with the sales team to provide them with marketing materials, technical support, legal documents, processing listings and occasionally training on procedures. If you have real determination to succeed and feel this is the industry you want to be in long term then we’d like to meet with you to discuss a rewarding a career within our office.